As a detail-oriented photographer, I can’t help but notice subtle differences. The average NBA viewer probably didn’t notice how technically different these team photos were when shown during ABC’s Pre-Game coverage. But, I’m guessing that subconsciously, they did. The difference in posing, lighting and post-production levels/retouching is huge. The Miami Heat look fierce and dominating. 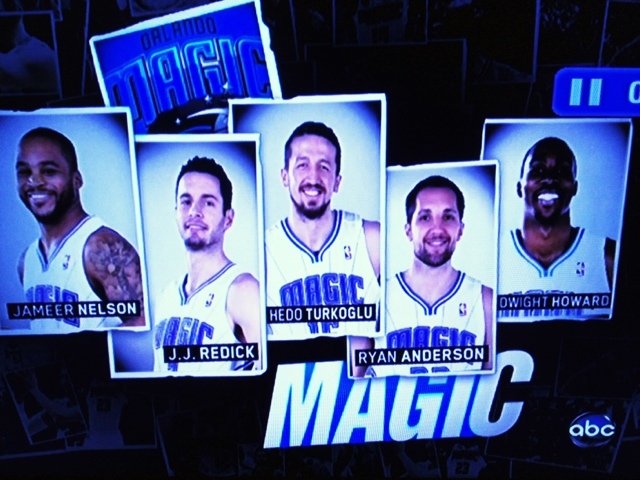 The Orlando Magic look like really nice guys. I know, I know. Miami’s black uniforms and more energetic logo have something to do with that. Not to mention the fact that the Miami players really ARE more fierce and dominating in real life. 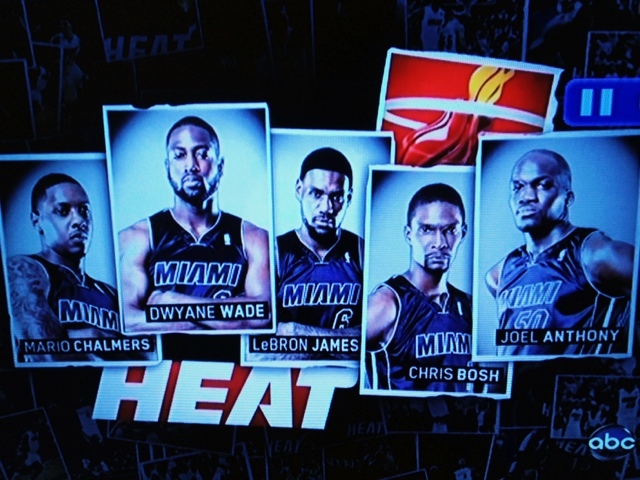 But, if I’m the PR person for any other NBA team, I’m taking notes on Miami’s press photos. This entry was posted in [photography], [sports]. Bookmark the permalink.